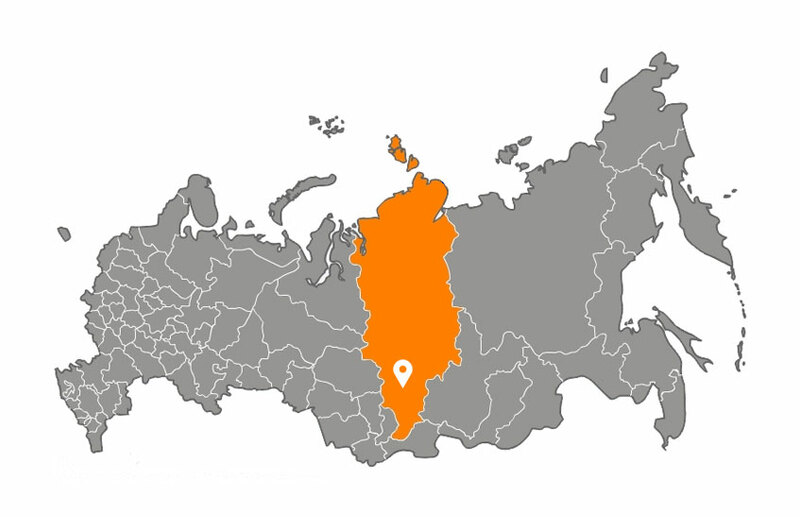 Krasnoyarsk is the center of Eastern Siberia and the capital of huge “Krasnoyarskiy kray” (Krasnoyarsk region). The population of the city is about 1 million people so you won’t feel alone like in the huge snow desert. 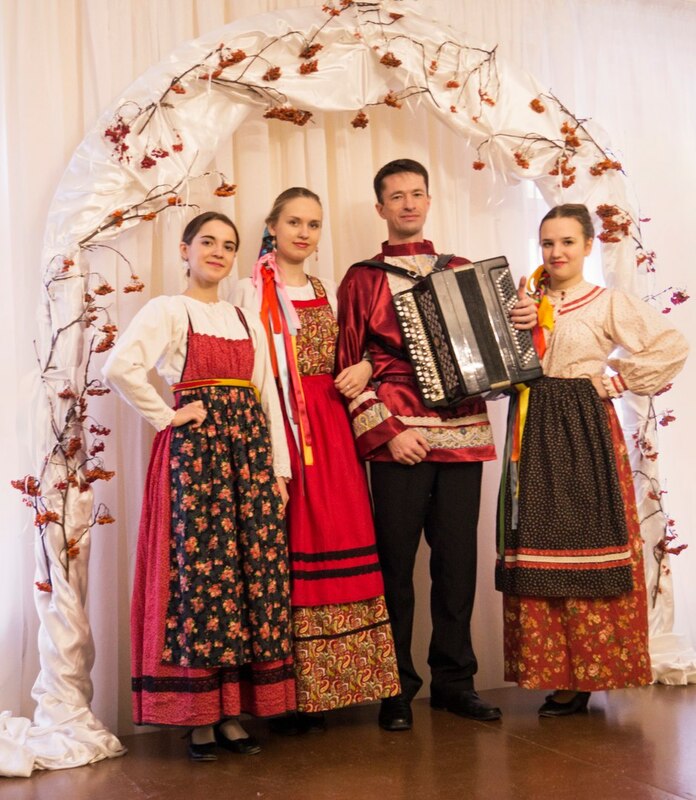 Join our Russian language and cultural immersion in Russia. Be a part of our Russian language course in Siberia! 1. The school of Russian language is located in the city centre, everything is within a walking distance: sights, supermarkets, the Yenisey river, museums, theatres, cinemas. Taxis can take you to any part of the city and the fare is about 1-2 €. 2. In our school there are 5 classrooms, so we are able to organise classes for about 20 students a month. And of course, these 20 people are main priority. From the moment you step on Siberian land we will be there to meet all of your expectations. 3. 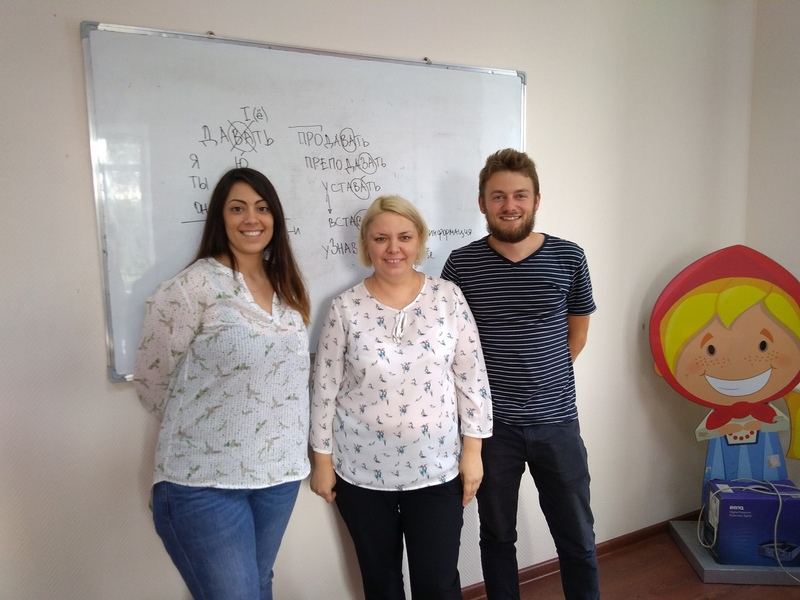 Our professional teachers of Russian language know modern teaching techniques, they are full of energy and fully motivated. They always explain the material in the best possible way. They are all fluent in foreign languages, so they will be able to explain the most difficult material in your own language. The all are experts on Russian language and cultural immersion method. 4. 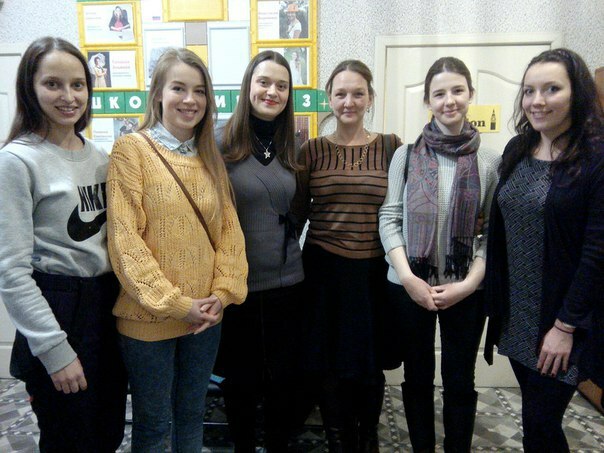 Our Russian language course includes cultural and language immersion. 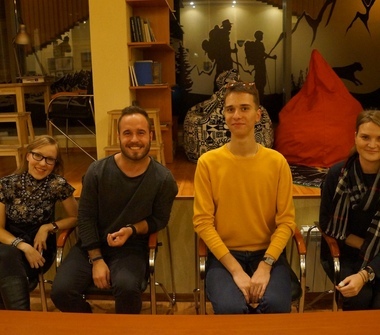 We offer a tour package of Russian language course in Russia which is designed specially for people who value their time and want to improve their level of Russian in Russia in a short period of time and want to get the best results. The fees are competitive. 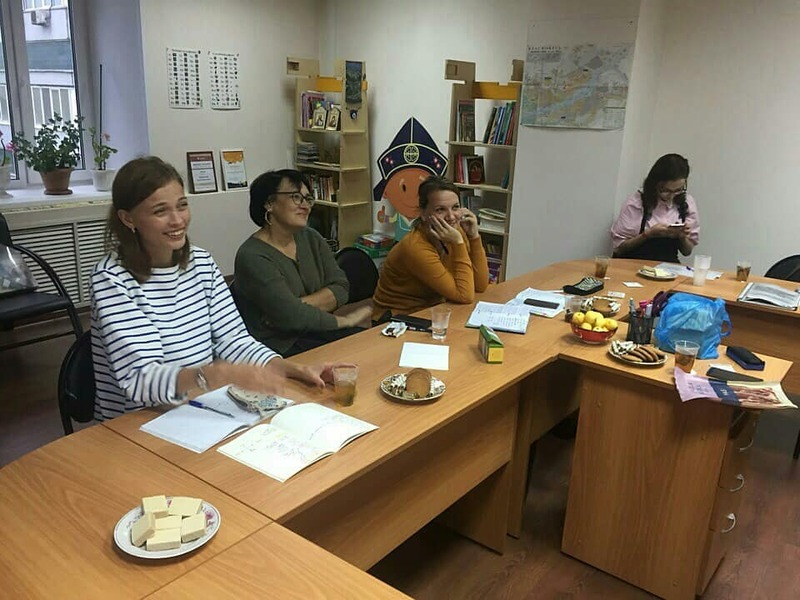 But apart from the Russian language course it also includes extra facilities, which are Russian host-family accommodation, language assessment, visa support, regular coffee breaks at school, full materials package etc. 5. Students who focus on getting the best results in studying Russian in Russia, after their course can take TRKI-exam and get a certificate of TRKI-1, TRKI-2 or TRKI-3 in our Russian language center. 6. You can learn Russian in Russia without any fees in our center. All you need is to join our social and cultural initiatives and raise Russian people’s awareness of other cultures and languages. 7. We provide post-educational support for our students and offer individual Russian language sessions via Skype. It helps students improve their language skills, even when they are not in Russian language environment any more. 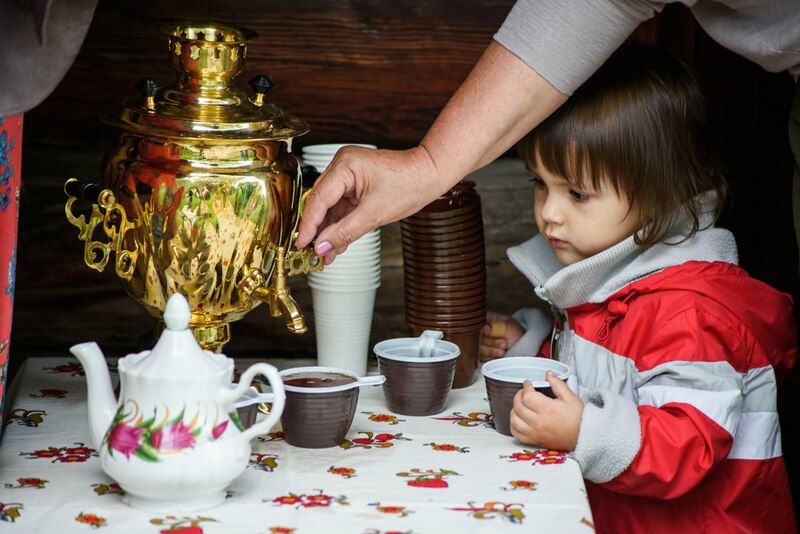 Feel at home in Siberia and immerse in the atmosphere of Russian language and culture! ABOVE MY KRASNOYARSK from big time films on Vimeo. The location of Krasnoyarsk city is very convenient, because it is in the centre of Siberia. The region is famous for its unique mountains, forests, the powerful Yenisey river and the national park Stolby. Besides, from Krasnoyarsk you can travel to the North to enjoy fishing and traditional crafts of the Northenpeople, to the South to see the famous Khakassian lakes or national park Ergaki, to the East to visit Baikal lake, Buryatia. 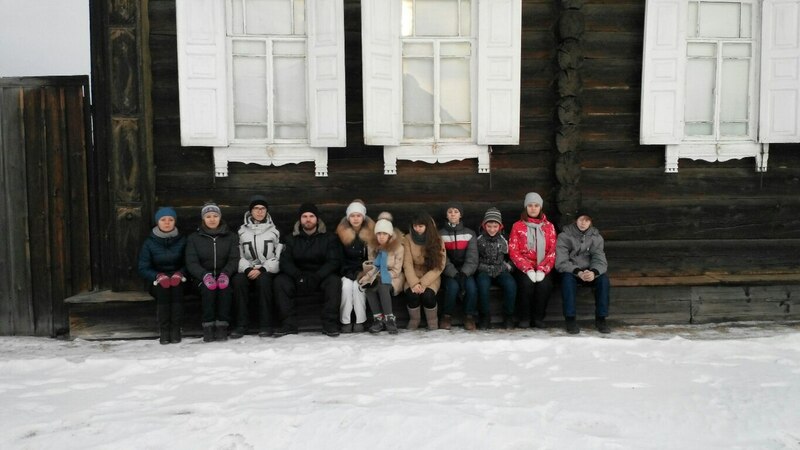 In remote Siberia, despite being close to taiga forest, we provide you with comfortable accommodation in warm flats with landline phones and Internet connection, various meals (from fast food to exquisite restaurants). 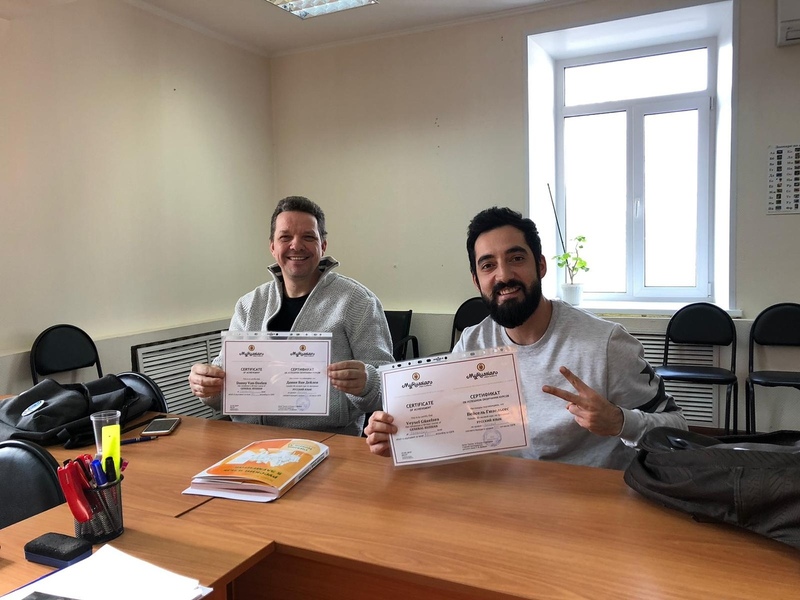 We guarantee the quality of the learning process of Russian language, because we have the stuff of weel-qualified teachers and use the newest teaching techniques, and co-work with such well-known publishing houses like Zlatoust, Russkiy Yazyk Courses. 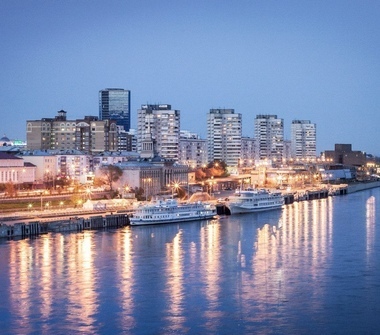 Krasnoyarsk is a modern city where everyone can find what to do to their liking. Besides, we know lots of places in the city, which are not known to local citizens, but which are very interesting and unique! school offices are available 09am to 8pm Monday – Friday (library, study areas, cafeteria). one extra individual lesson per week to get feedback on the educational progress. accommodation in a Russian family, breakfast/dinner included. transfer from/to the airport/railway station upon arrival/departure. Book your summer 2019 course untill the 5th of April 2019 and get a special discount 10%! 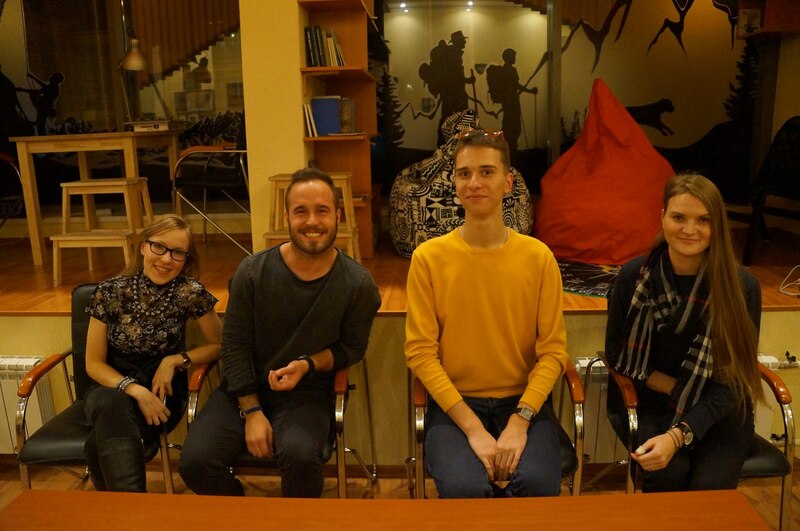 I did a three-week intensive course at the school during my Christmas holiday and it was a really great experience. Tatyana is a great teacher who really has a passion for teaching Russian and the small classes were perfect for quickly improving my spoken Russian. Her and the rest of the staff at the school were very helpful and they did their best to make sure I had a nice stay in Krasnoyarsk. They even arranged extra activities for me to experience life in Krasnoyarsk and practice Russian outside of the classroom. The school is centrally located and Krasnoyarsk is a small city so you can easily walk everywhere. 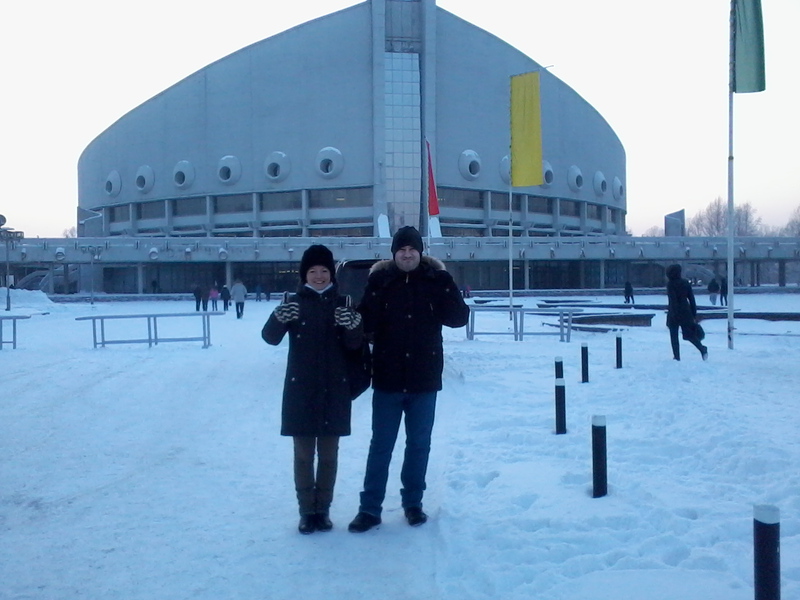 Don’t be scared by the Siberian cold! 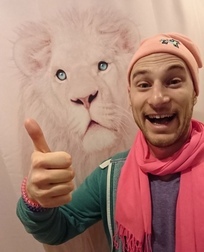 Krasnoyarsk is a great winter destination with lots of winter sports activities and My Russian is a great choice if you want to quickly improve your Russian. Jag gick en 3-veckors intensivkurs på My Russian och det var en mycket positiv upplevelse! Tatjana är en passionerad lärare som brinner för att undervisa i ryska. Tack vare de små grupperna (vi var 3 personer i min grupp) kunde jag se en snabb förbättring i min muntliga framförande på ryska. Tatjana och resten av gänget på skolan var väldigt omtänksamma och såg till att jag hade en riktigt trevlig vistelse i Krasnojarsk. De arrangerade till och med extra aktiviteter på kvällarna så att jag kunde uppleva livet i Krasnojarsk och öva min ryska i praktiska situationer. Skolan är centralt belägen i Krasnojarsk och det går att ta sig runt staden till fots. Var inte skrämd av den sibiriska kylan! Det finns gott om vinteraktiviteter i Krasnojarsk: skridskoåkning, skidåkning, vandring i Stolby naturreservat, eller varför inte ta ett dopp i floden Jenisej? Kort sagt, My Russian är ett utmärkt val om du vill gå en intensivkurs i ryska och uppleva livet i Sibirien!